Replacement Fruit Fly Lure - Safe, Effective and Non-Toxic ! 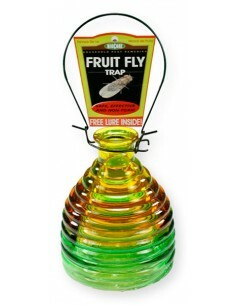 This replacement Fruit Fly Lure is designed for the Glass Fruit Fly Trap (not included) and out-performs other types of attractants such as red wine vinegar. In our tests we were able to draw insects away from fresh fruit, and capture a room-full of flies in a few hours. For homes, primarily kitchens or where ever fruit flies are present. For SpringStar Glass Fruit Fly Trap: Place Fruit Fly Lure in cup - do not open: plastic packet will dissolve in water. Add 1/4 cup warm water and one or two drops of dish soap (do not use citrus fragrance soap). Mix gently. Remove lid from top of Glass Fruit Fly Trap. Slightly tilt the glass trap and pour the entire mixture into the trap. Replace lid. Clean any spills as soon as possible with soapy water. Wash hands after use. DO NOT PLACE TRAP IN DISHWASHER. HELPFUL HINTS: Place trap about 2 feet from where fruit flies are present. 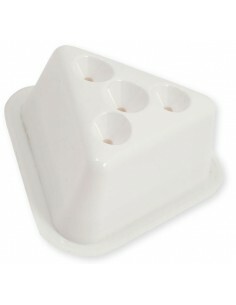 Place traps on counters near fruit or under cupboards near garbage containers or recycle bins. Allow at least 48 hours for the bait to reach peak attraction. Allow at least 48 hours for the bait to reach peak attraction. Remove any source of fruit fly breeding, such as old fruit, vegetables, wine or beer-making materials or recycling. Sanitation will reduce fruit fly populations significantly. 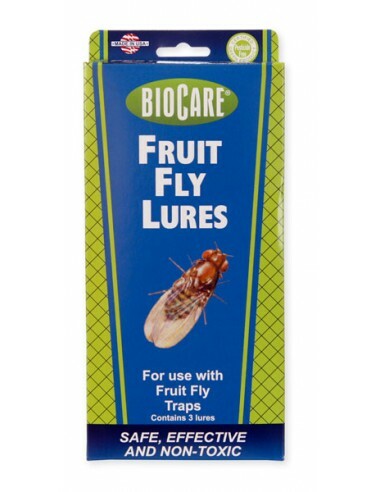 Lure solution is effective for 14 to 21 days, or until the trap is full of fruit flies. Effectiveness varies with weather, fly populations and competing sources that breed flies. Cleaning up sources of fruit will help reduce population buildup. 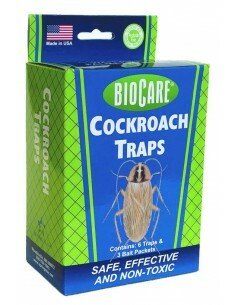 Not recommended for: gnats, house flies, phorid flies, drain flies.